Face Painting, Balloon Twisting, Glitter Tattoos, Games & Prizes, Workshops! Either in-clown as Simplicity The Clown or non-clown as Mary Anne The Magnificent, this entertainer has many talents! With two bases of operation (Ardsley, NY & Warminster, PA) she travels to most of NY-NJ-PA-DE providing smiles, fun and laughter no matter where she goes! A one hour birthday party is $175, a two hour birthday party is $275. Three and four hour events available also... clown or non-clown... and travel radius is 120 miles from either Ardsley, NY or Warminster, PA. Thank you for coming out to Baileys 5th Birthday celebration. We really enjoyed having you. What a pleasure!!!! The children were very much entertained from the very moment you walked in games to the face painting and especially the music all the children knew all the songs. Thank you so much for having me! Everyone was terrific! I had a blast! Please keep me in mind for future events! 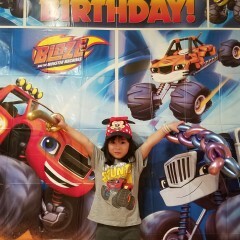 Our daughter had a great wonderful birthday party ever!!! My daughter changed her mind and didn’t want a clown, so Simplicity did not come in clown, she came as Maryann the Magnificent, and she was amazing! She was on time and the kids loved her! Would definitely recommend and use her again for any other kid event. Thank you for the kind review! I had a blast, as usual! So glad I was able to get so much fun done in 2 hours! Your family rocks! Very professional. yet easy going and good with the kids. Thank you Saby! The kids were great and it was nice to meet everyone! Hope to see you again soon! Excellent, would definitely hire again! You rock! Thank you for inviting me to entertain! I had a blast too! The kids had a blast. She was great with the kids. we had thirty kids there and she had them all participating.Thank you. Thank you! I had a great time too! Kids were wonderful and well behaved! Thank you again for inviting me to entertain! All the kids LOVED the balloons she created and she was so personable and nice with all the kids that attended! Highly recommend her and will definitely have her back for any of our future events! Thank you so much for having me twist balloons for everyone! I love what I do, love the smiling faces, and love all the kind words. Hope to see you again soon! Hugs! The kids and adults LOVED her! People definitely asked for her information after. She came early to set up, and she was so patient with my 2 year old so she actually was able to get some face painting. The kids really loved the games, she kept them entertained for an hour after face painting. She truly was a joy! Great personality and I totally recommend booking her! You will not regret it! What a fun group! Thank you for the kind words! I Hope to see you again soon! It was MAHveelus! She was wonderful. She came in and not all the kids were present yet so she started with glitter tattoos . Once they had all arrived and had eaten it was onto games and she kept them super occupied and it was fun! She also did bubbles in between and ended again with some glitter tattoos that maybe some kids had missed. I would absolutely recommend her ! She kept almost all 17 kids truly entertained ! And I had a pony - says so much!!! Thank you so much for the kind words! I had so much fun with everyone and hope to see you again soon! Hugs! Thank you so much for inviting me to entertain for your guests and thank you for the kind review! I look forward to seeing you again in the future! Thank you Simplicity!! Everyone had such a wonderful time. Your energy and entertainment was much appreciated. Will definitely recommend to anyone. Thank you for the great review! I had a wonderful time with everyone! You were a fun group to entertain! 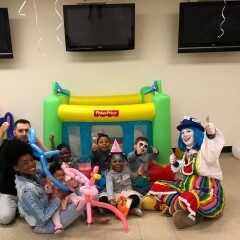 We were so fortunate to have Simplicity attend our daughter’s 3 year old birthday party. She was fun, entertaining, and kept all of the kids engaged!!! 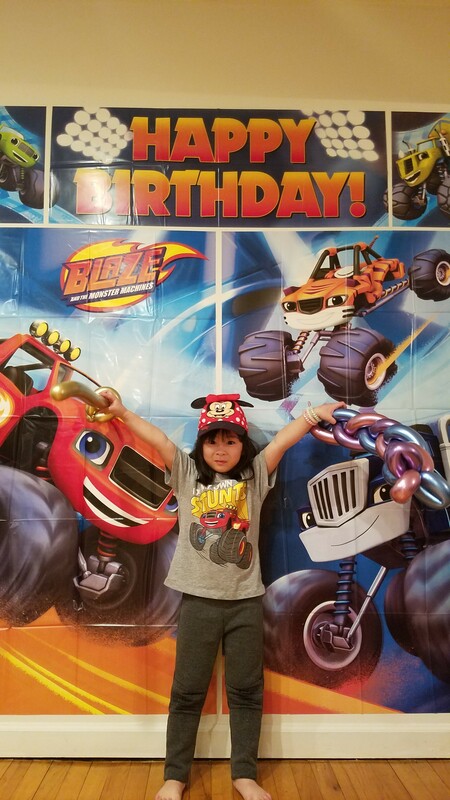 We received so many compliments for having such a wonderful birthday celebration. I highly recommend simplicity if you are looking for kid-friendly entertainment! I just wanted to touch base with you and thank you for the wonderful review! I love my profession and all the people I bring smiles to! Please keep me in mind for other events. I look forward to seeing you again soon! SIMPLICITY THE CLOWN has been providing quality children's entertainment for almost twenty years, performing at more than a hundred events per year. This entertainer recently relocated to Warminster, Pennsylvania, and is anxious to provide fun and laughter within the tri-state area of NY, NJ, PA, and DE. Whether it is balloon twisting, face painting, glitter tattoos, game playing, or a combination of all these talents, she is sure to generate smiles! 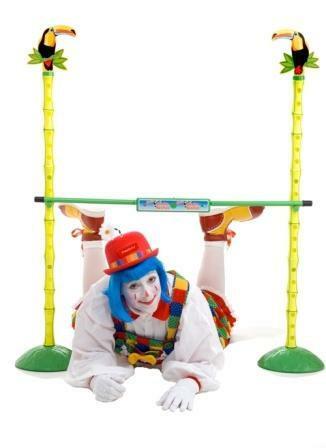 She has a friendly clown face and warm personality, making children feel at ease. Schedule her for fun family entertainment! If you are thinking perhaps you would prefer non-clown .... she can arrive as MARY ANNE THE MAGNIFICENT instead, wearing normal street clothes with vibrant colored socks, shirt and hat, but no clown makeup or costume. Request balloon centerpieces or helium balloon clusters for table decor at your event, pricing depends on decor requested. 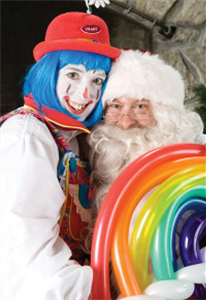 Basic balloon twisting classes and basic face painting classes are also available too! Mary Anne "Simplicity" Ross travels all over the United States to lecture at conventions on the Business Aspects of Children's Parties, Beginner Juggling, Finding the Clown In You, Stage Shows vs Line Work, Makeup Application, and beginner classes such as Beginner Juggling, Balloon Twisting 101, and Face Painting Basics. She also owns an online clown supply store and is willing to take inventory on the road to these conventions as a vendor. Schedule her for a lecture or workshop! 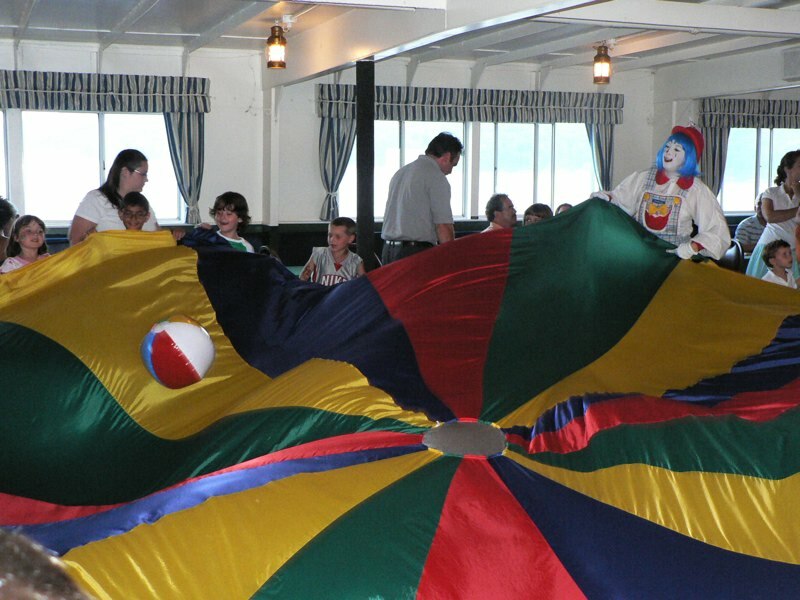 This entertainer has many talents, is easy to work with, and has had many years of experience! Kids love her! 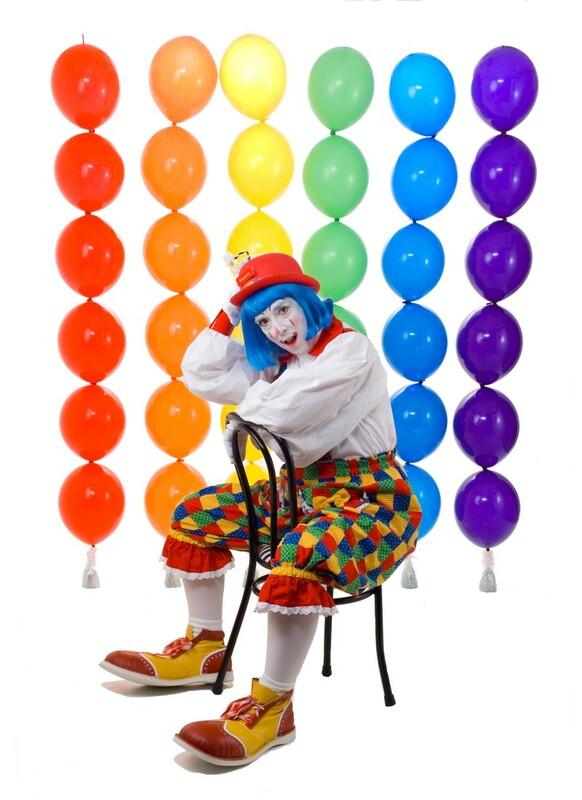 With more than 20 years entertainment experience in her lifetime, Mary Anne Ross, aka Simplicity The Clown, is an all-around clown with awards for her fabulous balloon creations and makeup applications. She has a Master's Degree in Clowning and is a lifetime member of Clowns of America International and World Clown Association. Mary Anne "Simplicity" Ross attributes her career as a clown to have begun during her time as preschool teacher/substitute when her own children were toddlers. The experience of working with children on a daily basis confirmed her need to be a part of making children happy everywhere. Her love of children and knowledge of "what makes them tick" is a bonus in the entertainment world. This seasoned performer is also the owner of an online clown supply store which calls her out to travel all over the USA lecturing and selling inventory at clown conventions and balloon conventions. She is often asked to lecture/teach classes, such as... The Business Aspects of Children's Parties, Stage Shows vs Children's Parties, Balloon Twisting 101, Beginner Face Painting, Beginner Juggling, Makeup Application, and Game Playing. Call now to reserve this wonderful experience for your family! Simplicity carries her own sound system, music, and supplies. If facepainting, a table and two chairs is requested. If balloon twisting, a table is requested. If the event is outdoors and more than an hour in duration, a canopy is also requested. 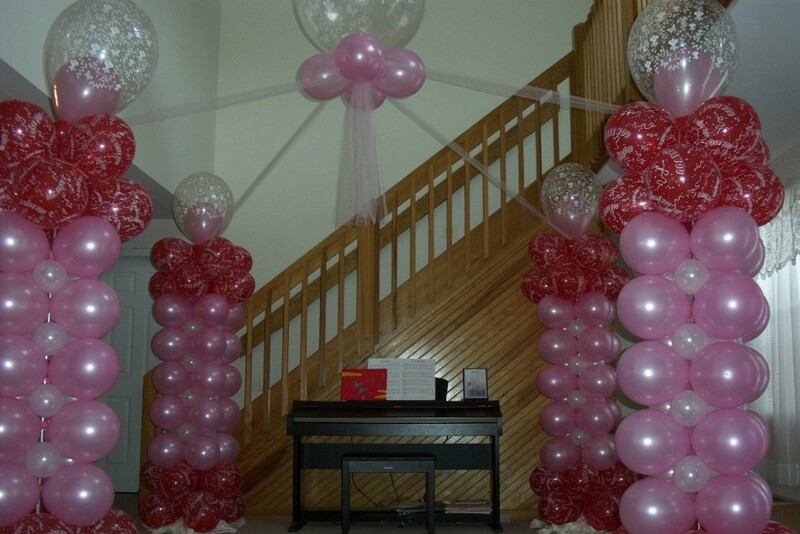 For balloon decor, a site preview is requested to determine dimensions and accessibility. Insurance certificate and W-9 available upon request. My two years as a part time preschool teacher helped me realize I wanted to work with children full time. There is nothing more rewarding than a child's smile!